Westport is pleased to announce the arrival of its Freightliner Cascadia 12-liter natural gas engine demonstration truck, powered by the Westport iCE PACK™ LNG Fuel System. iCE PACK is Westport’s latest innovation that minimizes fueling time, while maximizing range and fuel savings by allowing natural gas or dual-fuel engines to burn clean, domestic liquefied natural gas (LNG). 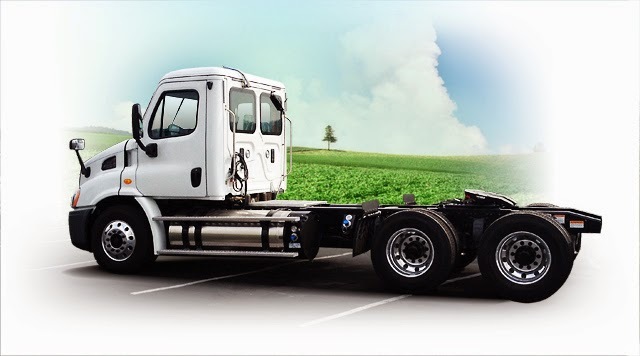 For a limited time, Westport is offering fleets the exclusive opportunity to test drive this Freightliner Cascadia natural gas truck for FREE. This allows fleets and their drivers to experience first-hand the economical and operational benefits of using LNG as a transportation fuel. Visit Westport at booth #949 at the ATA Management Conference and Exhibition in San Diego, California for more information and to view this Freightliner natural gas demonstration truck. Reservations for a test drive period are available on a first-come-first-served basis and for a maximum of two-weeks per customer. For more information about Westport and our full line of natural gas transportation products, visit westport.com.